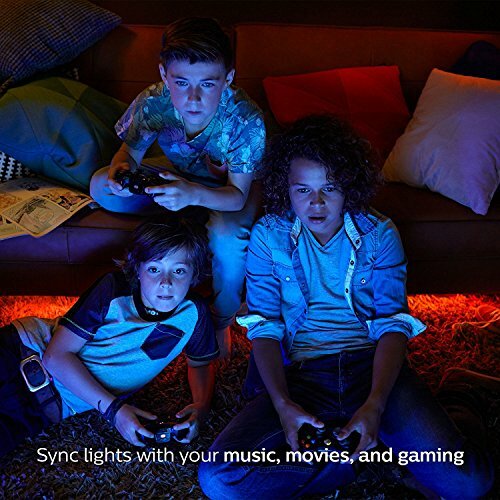 Product prices and availability are accurate as of 2019-04-20 13:18:38 EDT and are subject to change. Any price and availability information displayed on http://www.amazon.com/ at the time of purchase will apply to the purchase of this product. 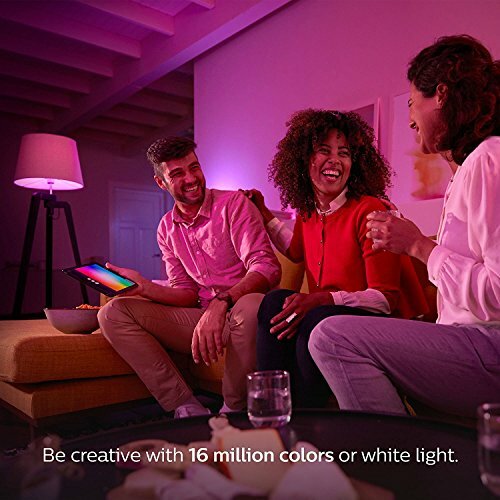 Bathe your home in millions of colors (with improved, richer cyan, green, and blue) and shades of white light, tailored to your mood or need, controlled wirelessly via a smart device. 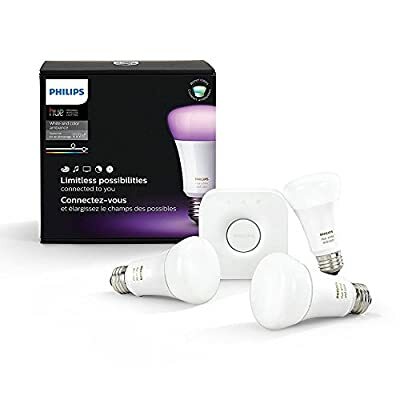 Controllable whether you are home or away, this starter kit adds three color A19 LED smart light bulbs (fits standard-size table lamps) with a Hue bridge that manages up to 50 lights. 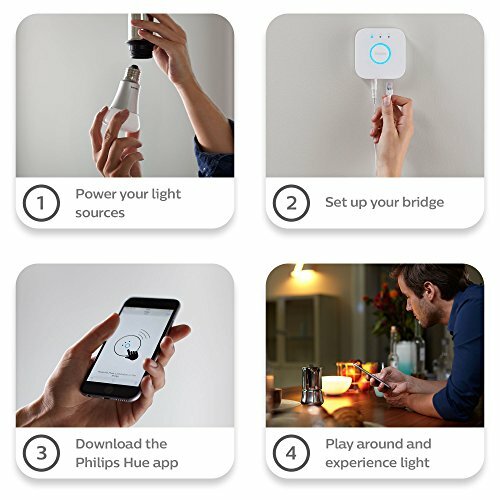 Install the lights as you would install ordinary bulbs, pairing them with the Hue Bridge, which allows you to control smart-bulb-equipped lamps and overhead lights via the Philips Hue App. 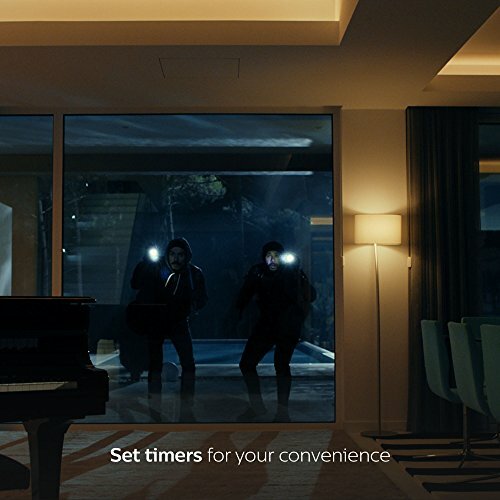 Easily expand your smart lighting system with Hue accessories (sold separately), such as a dimmer switch, tap, or motion sensor. Pair it for automation with your existing Nest or SmartThings system. 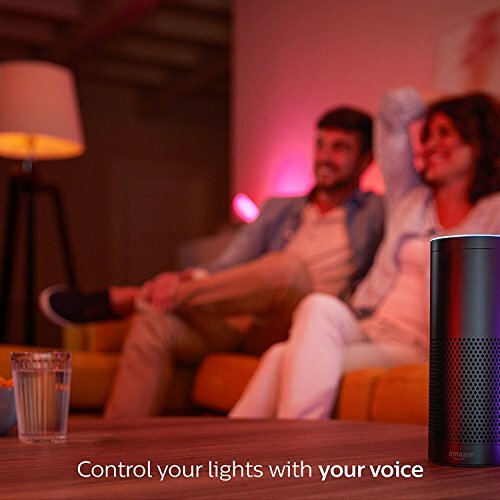 Voice control capable with Amazon Alexa, Apple HomeKit, or Google Assistant, each kit includes three White and Color Ambiance A19 bulbs, one Hue Bridge, ethernet cable, power adapter, manual, and two-year warranty.